Cancer is a devastating and scary diagnosis, no matter what type of cancer it is. This is why it is useful to know more about certain types of cancer, including early symptoms, how to detect it, what steps to take, and what to expect over the course of treatment. Oral cancer is most often described as a cancer that affects areas like the lips, tongue, floor of the mouth, or throat. Oral cancers are estimated to be the sixth most common cancer in the world. We’re here to answer some of the common questions many people have about oral cancer. What are the early symptoms of oral cancer? These symptoms can occur even if you don’t have oral cancer. That said, if you are experiencing these symptoms, it is a good idea to talk to your doctor or dentist about it. Your dentist can screen your mouth and throat for any signs of oral cancer, during a special visit or even during your regular checkup. If your dentist sees anything suspicious, biopsies can be taken to investigate further. As is the case with most cancers, early detection of oral cancer is key to fighting it successfully. This is just one of the many reasons why regular visits to your dentist are so crucial. Oral cancer will be treated by specialists, including specialized surgeons and doctors who focus on cancer treatment. Before starting treatment, it’s recommended that patients take care of any dental work that needs to be done, in order to give their mouth time to heal during cancer treatment. Treatment will vary based on a number of factors, but typically, surgery will be performed to remove cancerous tumors. After that, radiation and/or chemotherapy can be used to kill remaining cancerous cells. Again, avoiding these risk factors is not a guarantee that you will never get oral cancer. The best thing you can do is focus on regular screenings and early detection. This will depend on a number of factors, most notably whether or not the cancer has spread to other parts of the body. That said, if the cancer is detected early, the prognosis is generally favorable. One estimate puts the 5-year survival rate between 75 and 93 percent. It’s never easy to receive a cancer diagnosis, but with early detection, you can up your chances of getting through it. 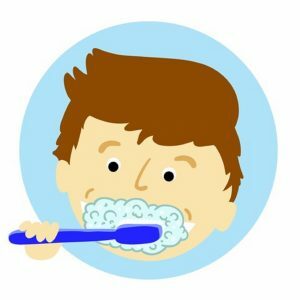 Your best bet for early detection is to stick with your regularly scheduled dental visits, and to ask your dentist any questions you might have about symptoms you are experiencing. Smile Concepts is here to keep your smile happy and healthy, and we’re able to help our patients be aware of the signs of oral cancer. Feel free to contact us if you have any questions about this or any of our other services. We’re happy to help!